Our endeavor to meet various customer needs has enabled us to become one of the leading manufacturer of a quality approved array of Metallized Polyester Film. The provided film is manufactured using use of supreme quality raw material and pioneered technology by our team of dexterous professionals in compliance with set quality standards. Being a leader in the industry, we are instrumental in providing qualitative range of Holographic Metalized Polyester Film. - Perfect for packaging in food industries, ceramics, garments, glassware. We are the dynamic, business-oriented organization, ranking among the utmost entities in providing a wide assortment of Colored Metalized Polyester Film. 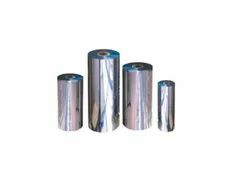 Manufacturer & Supplier of Metalized Rolls. 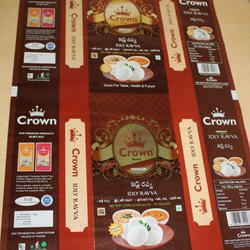 Our product range also comprises of Rotogravure Printed Rolls, Laminated Rotogravure Printed Rolls. We are the dynamic, business-oriented organization, ranking among the utmost entities in providing a wide assortment of Metalized Polyester Film. SL-151 – Transparent SL- 152, 153, 154 – Lacquered Available in various other colors. Owing to the presence of our expert team members, we are able to offer a wide range of Metallized Polyester Film. Transparent film with excellent clarity. polyester metalized rolls scrap inner coated with adhesive and punched used in bottle labeling unit .